September 19, 2017 – Breathable air is necessary to sustain humans both on Earth as well as in space. Tiny airborne particles, known as aerosols, can contribute to a variety of health problems, such as asthma and respiratory tract irritation. To ensure the health of humans living on Earth as well as those traveling in spacecraft to explore the solar system, aerosol sensors are needed to monitor air quality and alert engineers when action is necessary. NASA is working with the Robert Wood Johnson Foundation (RWJF) to sponsor the Earth and Space Air Prize competition for a solution that could improve air quality and health in space and on Earth. This project is a technology innovation challenge to promote development of robust, durable, inexpensive, efficient, lightweight, and easy-to-use aerosol sensors for space and Earth environments. The competition asks teams or individuals to design and develop specialized sensor technology that has the potential to be useful in spaceflight as well as on Earth anywhere outdoors in a community where people may be exposed to airborne particles. The Earth and Space Air Prize is a two-phased competition. Registration for Phase 1 is open until December 13, 2017, and requires submission of a sensor design by January 31, 2018. The competition will name three finalists by the end of March 2018, and each will be awarded $50,000 to build a prototype. Finalists will deliver prototypes to the Glenn Research Center in Cleveland, Ohio, by September 30, 2018 for testing and final evaluation. The competition will announce the $100,000 grand prize winner in mid-October of 2018. 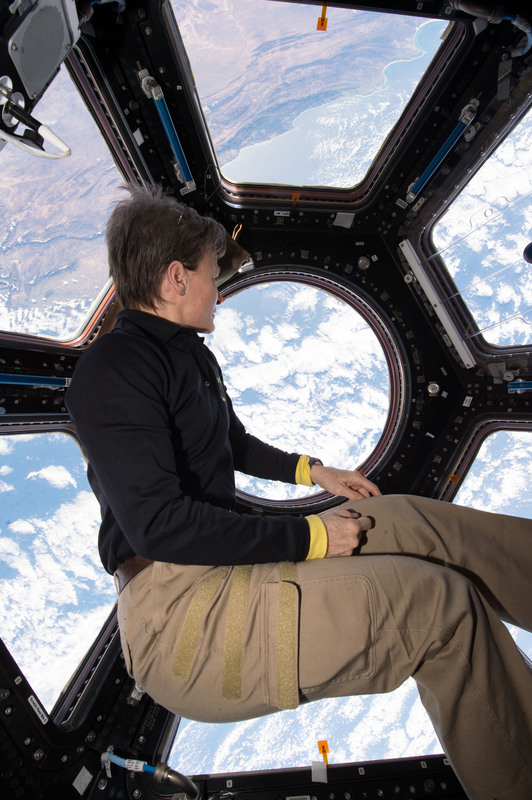 This competition enables NASA to advance human spaceflight and RWJF to promote solutions to support communities working to improve health while both work to develop innovative technology that can improve quality of life in space and on Earth. “We’re grateful for this unique opportunity to collaborate with NASA to support innovation that will help to build a Culture of Health both on Earth and in space,” said Dr. Michael Painter, senior program officer at RWJF. The Earth and Space Air Prize is part of NASA Solve, a gateway for everyone to participate in NASA’s mission through challenges, prize competitions, and citizen science. Leveraging its NASA Open Innovation Services vehicle, NASA contracted with The Common Pool, LLC, who is serving in the role of prize administrator for the competition. The Common Pool is a consulting firm focused exclusively on the design, development, and management of prizes, challenge competitions, and other forms of incentive-based programs.